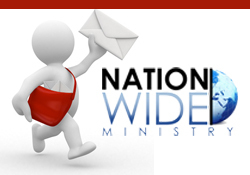 Nationwide Ministry is excited to announce the new opportunity for ad placement(s) on our site. Currently (as of July 2018) we are enjoying 10,000+ monthly visitors to our site. Advertising on our site is easy to set up utilizing the form listed above. Featured at the bottom of each page on our site is a block of 3 “Bottom Page Ads”, they see the highest amount of traffic, currently (as of July 2018) each ad is seen 700+ times per day. Featured on the right hand side of each of our Directory Pages are our “Directory Sidebar Ads” they are our second highest viewed block (as of July 2018) each ad is seen 500+ times per day, that is a great place to promote your events/efforts. Also featured on the right hand side of each of our Event Pages are our “Event Sidebar Ads” they are a great place to promote your products, services, offerings/efforts. When placing an ad please note that imagery can not be larger than 400 kb, they can not be wider than 1024 pixels in width and they also can not be higher than 800 pixels in height. If you are having a challenge uploading a jpeg, convert your jpeg into a png file and try again. Reports are easily generated by logging in with you email address and provides hourly impression and click counts, which are also available to be downloaded as pdf’s.